← Does Mom or Dad Need a Companion? What can Professional Home Health Caregivers do for you? This is a question that many individuals seeking home health care services for the first time may ask. What is a home health care agency, and what can they offer me that I can’t do myself? Royal Healthcare often answers that question by not only defining our services, but by assuring clients and their loved ones and other family members that our basic reason for existence is to provide support to those providing for the care of a loved one in a home-based scenario. We know that you can’t be there all the time. You have your own responsibilities, family obligations, work hours, and errands, events, and so forth. Many seniors live alone and are separated from loved ones due to distance and sometimes even by family dynamics. The point is that professional home health caregivers provide a variety of services that can be hired for several hours a day two or three times a week to round-the-clock care and supervision. Royal Healthcare provides a variety of services that include but is not limited transportation, medication supervision and oversight, meal preparation and planning, assistance with bathing, grooming, or dressing, companionship, and more. 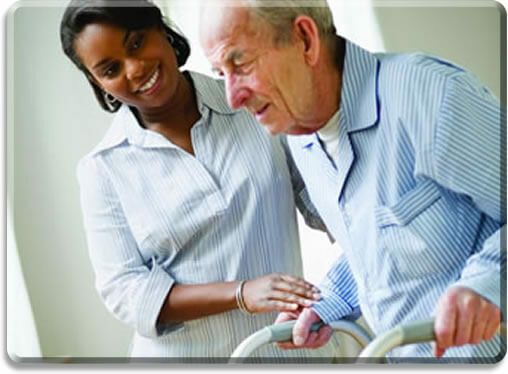 Services provided by home health care agencies help to pick up the slack and share the burden of care. Many first-time nonprofessional caregivers and family members are often taken by surprise at the physical, emotional, and mental demands required in providing care for a loved one who has been diagnosed with dementia, a neuromuscular disease, a chronic illness, or more. Many family members are more than willing to share in providing that care and supervision for a loved one but are physically incapable of guaranteeing the safety of a loved one when helping them into or out of the tub, or transferring from a bed to a wheelchair or vice versa. It’s always important for family members to get beyond their personal desire to provide care and health and focus on safety for not only a loved one, but the caregiver. Too often, we see senior spouses or other family members injure themselves when providing care for a loved one. We don’t want to see any family member injured or placed under a great deal of stress that leads to illnesses. We’re here to help. Call Royal Healthcare today and ask about the services we provide based on your own needs. Remember that you never have to go through a caregiving process alone. That’s what were here for.